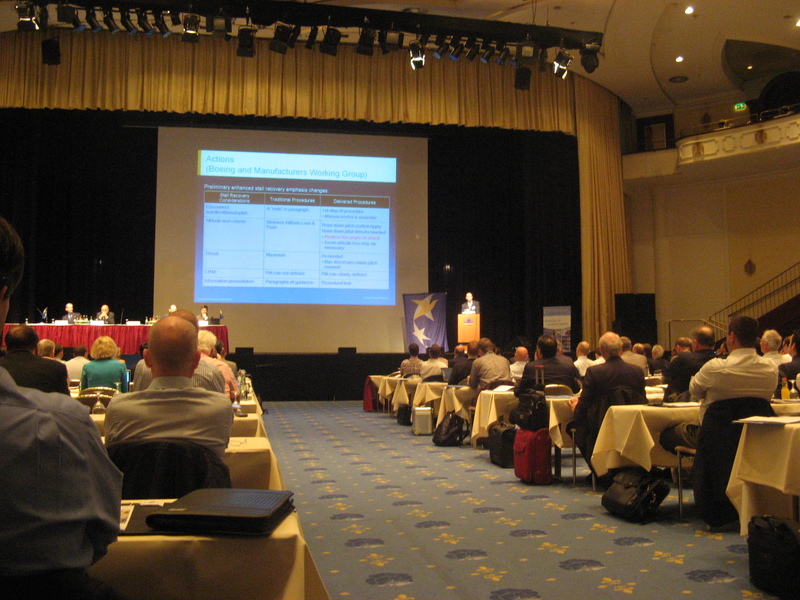 The European Aviation Safety Agency (EASA) today, October 5, opened the second day of their third aviation safety conference. The conference was attended by 250 professionals from the aviation industry. The U.K. CAA for instance named LoC as one of the “Significant Seven” issues that affect airline safety. The CAA’s efforts with regards to LoC focus on training and assessment of pilot monitoring skills, use of aircraft automation and maintenance of manual flying skills. These issues were also raised by several other speakers. Several industry-wide committees and working groups are working actively on all fronts – Prevention, Detection, and Recovery with regards to LoC. One of those joint efforts was to make a generic procedure for pilots how to handle a stall at low altitude. Past training focused to prevent altitude loss, many times leading the pilot to add maximum thrust as the first step for recovery. 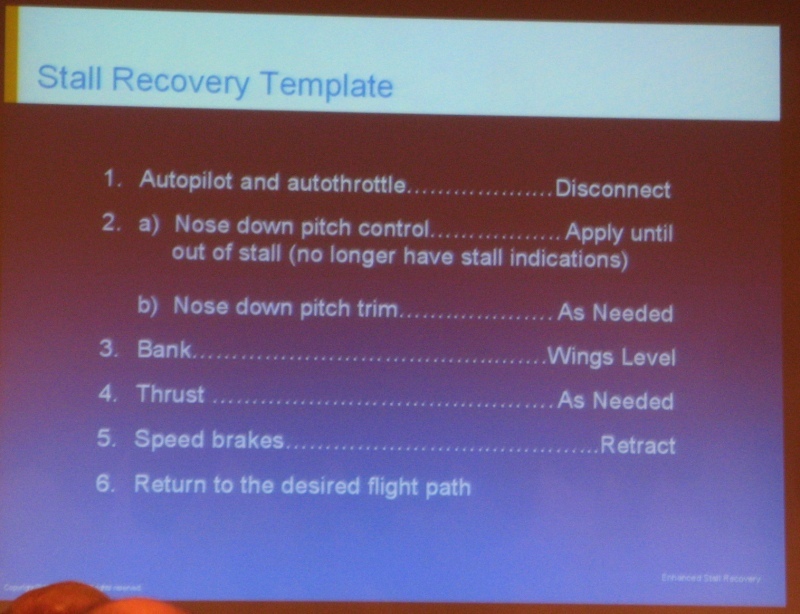 The new focus however is on CRM, making it a team effort to recover from stall instead of a pilot flown maneuver. An industry-wide group completed a new and generic procedure that has been verified and validated by Airbus and Boeing. Also, there is a need for changing flight simulator training in relation to key issues involved in LoC accidents. Simulators today are satisfactory for teaching upset prevention but can cover an estimated 1/3 of what they need for teaching upset recovery. For instance, events caused by atmospheric disturbances and flight control issues can be replicated in simulators. Disorientation though is harder to replicate. And for icing and stalls simulators are not up to the full job. Yet, those two account for a large amount of Upset accidents; almost half of all accidents according to research. Research is being done in the European SUPRA projects with enhancing motion cueing in existing flight simulators and a new advanced simulator at TNO labs which can simulate continuous g-loads and even inverted flight. Something to which everyone agreed is that is no single solution to Loss of Control; only a multifaceted approach to Prevention, Detection, and Recovery will reduce LoC accidents. There is a vital role for instructors. Also general aviation instructors should use this guidance in their training for future airline pilots. The conference presentations will be published on the EASA conference website.